This robust new laboratory blender is specifically designed for large volume food testing procedures, such as the FDA's Bacteriological Analytical Manual (BAM), where 375g composite samples are required for the microbiological analyses of food . The newest addition to Seward’s range of Stomacher blenders, the heavy duty Stomacher 4500 complements the Stomacher 400 Circulator. This new blender provides food laboratories globally with a high performance, high quality blender capable of homogenising sample volumes ranging from 1000 to 4500mL. Highly efficient, the new Stomacher 4500 also has programmable settings to ensure the best preparation protocol is used for microbial extraction, depending on the food sample under analysis. 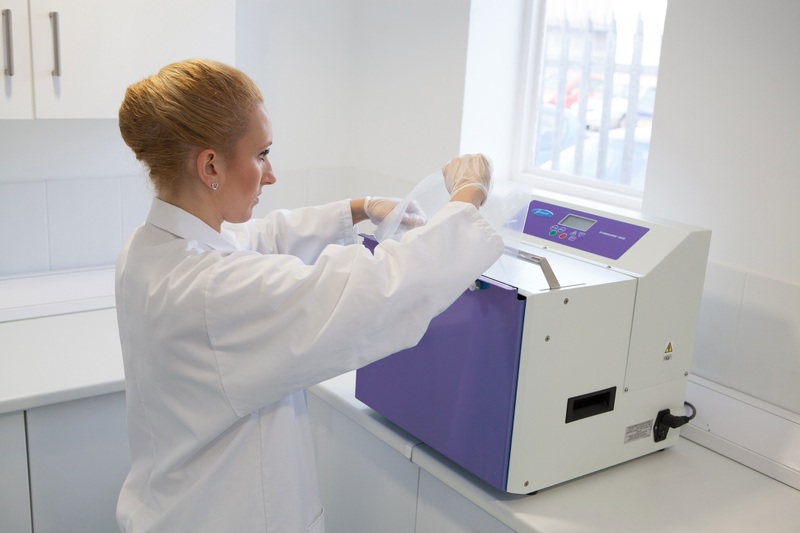 The new Stomacher 4500 is the perfect tool for extraction from 375g composite samples, as defined by protocols such as the FDA’s BAM for the preparation of Category III food samples for Salmonella detection . Here the composite sample should be combined with its pre-enrichment medium at a 1:9 sample-to-broth ratio (375g sample/3375mL pre-enrichment) with no risk of spillage. Consequently, the new large volume Stomacher enables food manufacturers to combine 15 x 25g (375g) analytical units, rather than testing each unit individually, so saving time when analysing lower risk food products. A 25g sample/225mL pre-enrichment BAM protocol remains in place for higher risk Category I and Category II foods, which would not normally be subjected to a process lethal to Salmonella between the time of sampling and consumption, for this the Stomacher 400 Circulator is ideal. “Our Stomacher® technique has become the world standard for sample preparation, and the Stomacher 400 Circulator is the work horse of many food testing laboratories, illustrated by the fact that it is being used globally for the preparation of over 8 million food samples a day,” said Dan Crothers, Managing Director, Seward Ltd. The large volume Stomacher 4500 blender comes with a 3 year warranty, as well as a range of accessories including Standard (65 microns thickness; coded BA6042) and Heavy Duty (80 microns thickness; coded BA6042/HD) Stomacher bags, large size bag racks and clips.